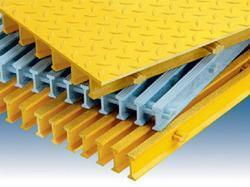 Offering you a complete choice of products which include pultruded fiberglass grating. Our client can avail from us a wide range of Pultruded Fiberglass Grating. These are provided by us in different specification to meet the diverse requirement of client. Pultruded Fiberglass Grating is a fiberglass (FRP) structural shape that is produced by dipping fiberglass.